At her preschool I have to send her with a packed lunch & 2 snacks, one for the morning & one for the afternoon. I think packing up food has been probably the hardest adjustment for me out of the whole thing! 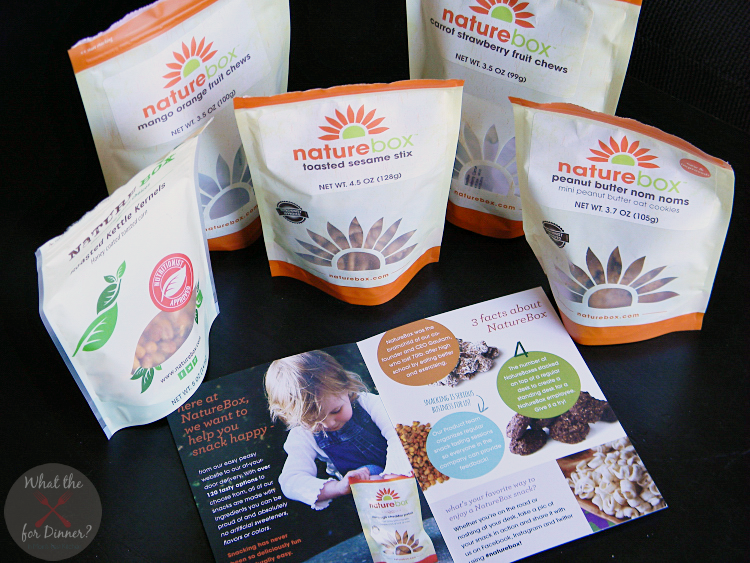 Well luckily, my good friends at NatureBox know how difficult it can be to get into the swing of school & their 100+ options of available snacks are perfect for the lunchbox, carpooling or after school! 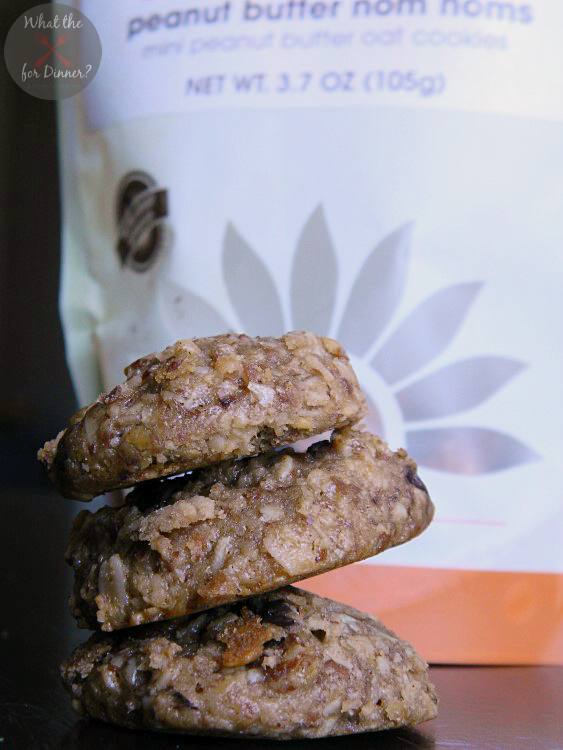 Every single one of their snacks are carefully sourced and nutritionist-approved foods that contain wholesome ingredients with no artificial sweeteners, flavors or colors! The best part about it though?? They are delivered. STRAIGHT TO YOUR DOOR! That’s one less thing you have to worry about at the grocery store! Each month you’ll receive five different snacks that you can either pick out yourself or if you want to be surprised, then you can go with their carefully curated selections. Not being one for surprises, I picked out our 5 this month. One of the snacks I picked was their chewy Peanut Butter Nom Noms. I knew these would be a hit with the little. She loves peanut butter & never says no to a cookie! And I love that they are packed full of oats. I also knew that I had to pick the fruit chews for Princess P since she would survive on them if she could. 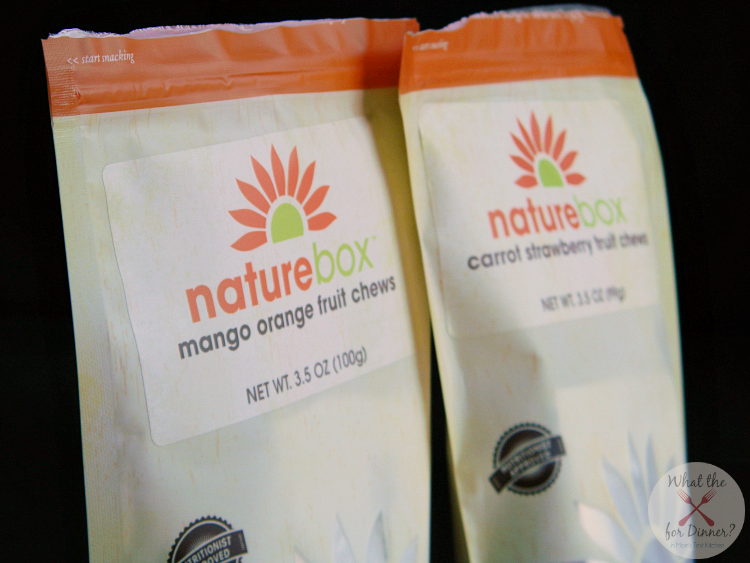 These are NatureBox’s version of fruit snacks. They of course were a huge hit & I loved that they were individually wrapped in portioned sized bags so I could just grab a little bag & drop it in her lunchbox or snack bag. So easy! Now I’d be lying if I said that I only got snacks for the little. This was our first month so momma had to have some goodies too! 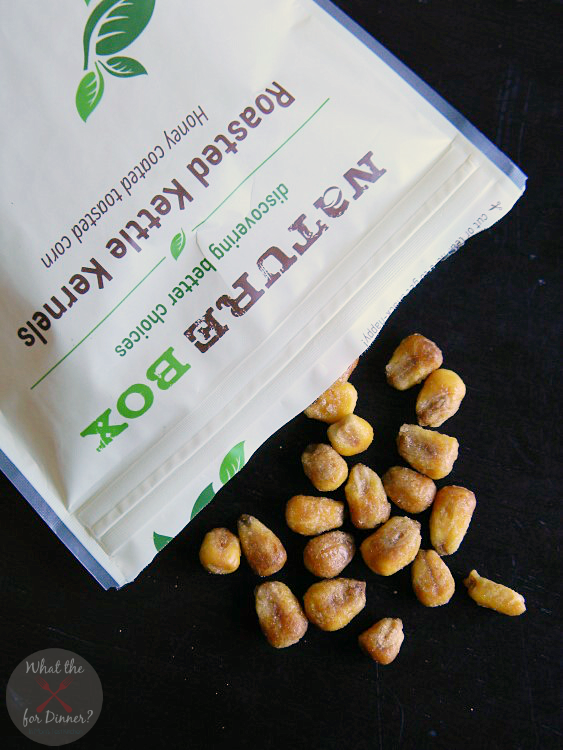 These Roasted Kettle Kernels are AWESOME! Crunchy little pieces of sweetened corn. I was snacking on them the other night & the Hubs asked what I was eating & I’m going to be honest, I didn’t want to tell him because I didn’t want to share! So when you order your first month’s box, make sure to get yourself a bag of the Kernels! And then hide them! 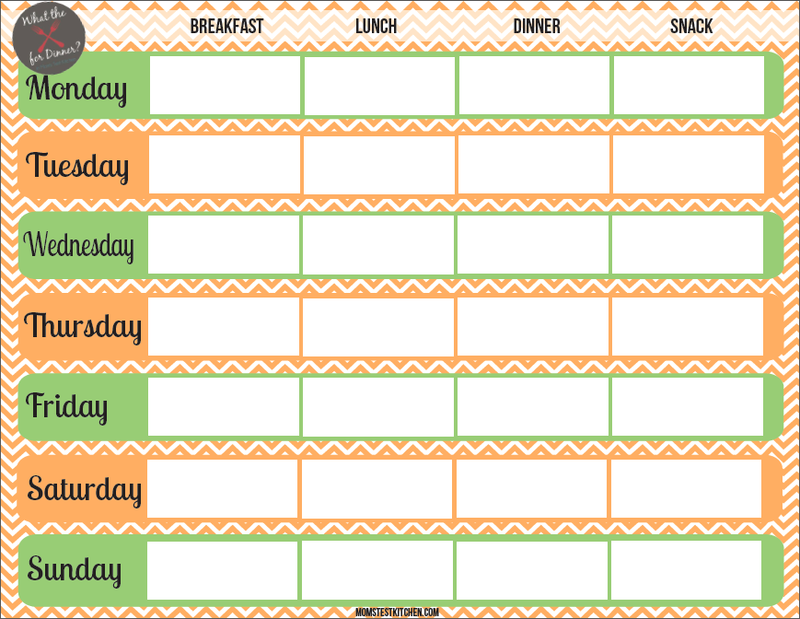 And now to help you plan out your weekly menu & to help make sure you don’t forget the snacks, I have a free Weekly Menu Plan Printable available for you to download! Above is just a sample image but you can easily just download the PDF to print off your own! 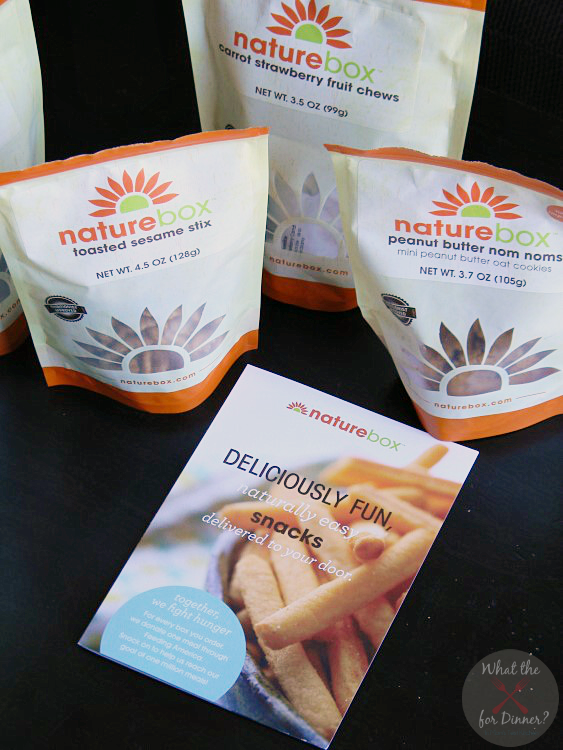 So are you ready to try out NatureBox?! 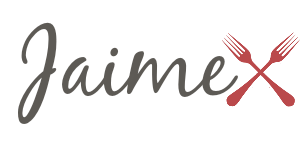 They are offering y’all a great deal right now just to give them a try -> 50% off your first month’s box!! Just click below & don’t forget the ‘SNACKTOSCHOOL’ promo code when you order!! Where do you live where pre school last a day?